Use your businesses brand and color scheme to customize your tablet loyalty program. Customize a tablet program in less than 5 minutes! 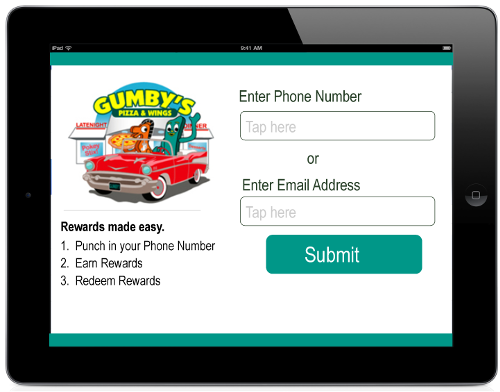 Our tablet loyalty app keeps little friction between a consumer signing up or not. 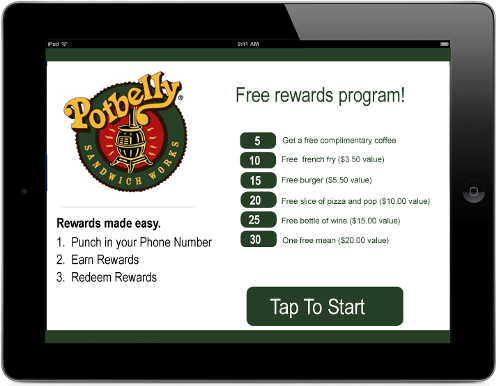 Thus increasing sign-up rates and effectiveness of the loyalty programs.